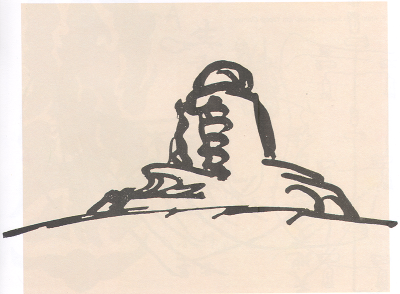 This is a famous 1919 small concept sketch by architect Erich Mendelsohn for an astrophysical observatory in Germany. With a few marks of a broad pen, he captured the essential form of his vision. 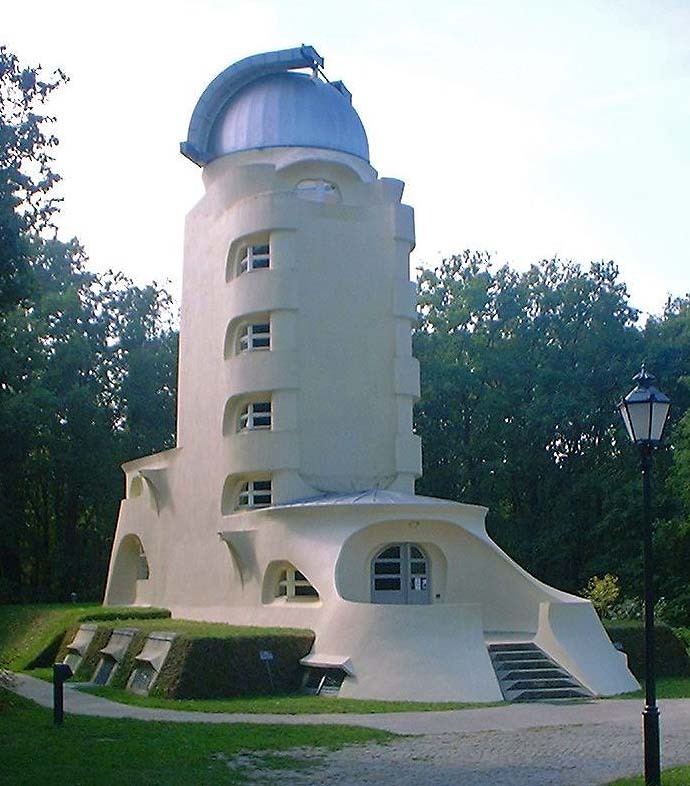 The completed observatory is as rounded and pliable as the sketch portrays. The energy of a living organism emanates from both. Mendelsohn is famous for his visionary sketches. I think he is a source of the notion that architects’ designs can come to them fully formed, and they can easily dash off ingenious and wonderful sketches on a napkin or any nearby scrap of paper. I think his caliber of talent is rare. Truly visionary sketches only occur in exceptional circumstances. In ordinary circumstances, the analysis, and the trial & error of the design process take significant time. Sketches are often done in series to work out, clarify and compare concepts. Most parts of the process require focus, repetition, and evaluation. It can be messy and frustrating, with crumpled tracing paper piling up in and around the recycle basket. Eventually, when enough thought has been invested, there is a point when the design comes together. After that, and not before, a seductive little sketch can be drawn. Design is both rational and irrational. Like any creative process, it is somewhat mysterious. 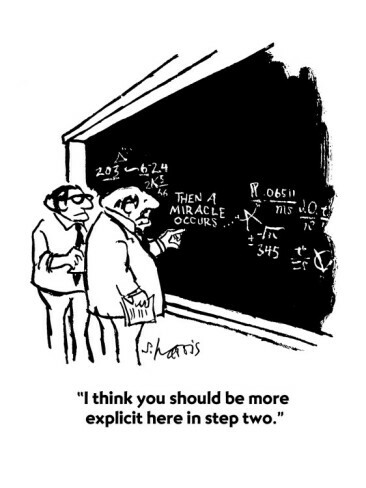 Mercifully, we do not have to explain everything about how we arrive at our solutions. Photos 1 & 2, courtesy of wikiarquitectura.com. Cartoon Copyright Sidney Harris 2006. This entry was posted in Process and tagged architect, Erich Mendelsohn, napkin sketch, Observatory, Sketch, visionary sketches by Kraft. Bookmark the permalink.